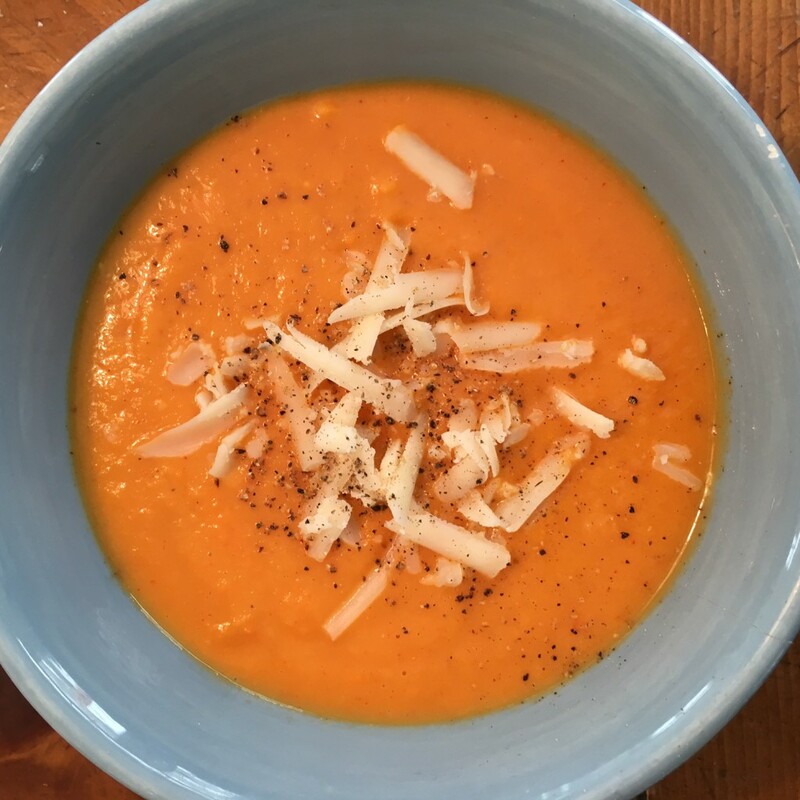 This creamy tomato basil soup is adapted from a delicious recipe that a friend shared with us in her home. Full of flavorful vegetables with a touch of soy milk and tofu, this soup is nourishing and satisfying. Enjoy! In large wok or pot, sautee garlic and onion in olive oil until nearly tender. Add carrots and cook until nearly tender. Add red pepper and tomatoes and cook unit tender. In blender, blend the above ingredients with spices, bouillon, soy milk (or water), and tofu if desired. Blend until creamy smooth. You will need to do two batches in the blender, so pour first batch into a large bowl, add the rest of the veggies to blend, then combine all together in the large bowl. John prefers this soup without the soy milk and tofu for a stronger tomato and less creamy taste. I love it both ways. The kids love it with the creaminess. Your choice, or try both! Serve with shredded sharp cheddar and cracked pepper on top, if desired. I am 88 and keep busy (not always doing housework!) doing fun things with my friends. A movie, lunch, book club, concerts, visiting, etc. My group of five, has 96, 91, 88, 87, and 80? so we don’t do a lot of physical. We walk, or have our own regime, work puzzless (brain exercise), etc. I agree completely about thinking young. We all have slowed down, but life is great. This is fantastic! Great friends are priceless. Great friends can also help you to live healthier and longer. So glad to hear that life is great at 88!! !